The issue of fake hyper-nationalist propaganda websites has received a lot of attention, but why we need fake websites to feel good about ourselves is on only one part of a much larger problem. Since long we as a society have tried to manage our reputation both at home and in the world through clever ways of hiding embarrassing information and hyping ‘Pak Positive’ news. This creates a distorted view of ourselves that makes it nearly impossible to actually improve our situation. Kamila Hyat notes that the problem begins in the way we hide information from students in schools. The effort to prevent students from hearing views contrary to the accepted national narrative is deeply disturbing. It means we will churn out generation after generation of semi zombies, unable to move beyond a distinct perspective of the world or put their faculty of reason into use. This is a frightening development for any nation. A country whose people are unable to think for themselves, to read openly, to express their views with freedom and to embrace the tolerance that arises from all these factors is in deep trouble. We already see signs of that trouble everywhere. The conspiracy theories, the manipulation of truth, the spin factories at work, the propaganda meant to represent a particular point of view have led us to a state of deep peril. The problem doesn’t end there, though. We even try to hide information from adults. What other ‘democracy’ publishes newspapers with giant blank spaces in place of reports that don’t match the official narrative? 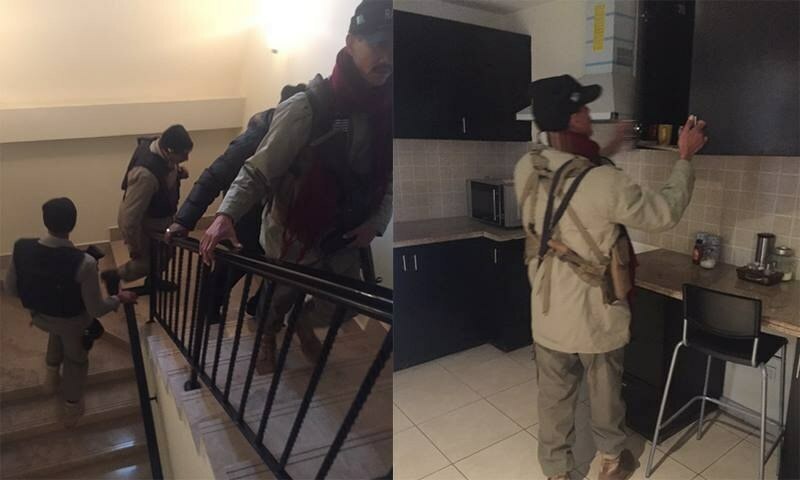 What other ‘democracy’ sends armed soldiers into the homes of journalists to search through their cupboards? Chaudhry Nisar has supposedly ordered an inquiry into the Rangers behaviour, but does anyone honestly believe that civilians can do such a thing? Besides, whether there is any inquiry, the intended message has been sent and received. All of this media harassment is self-defeating. 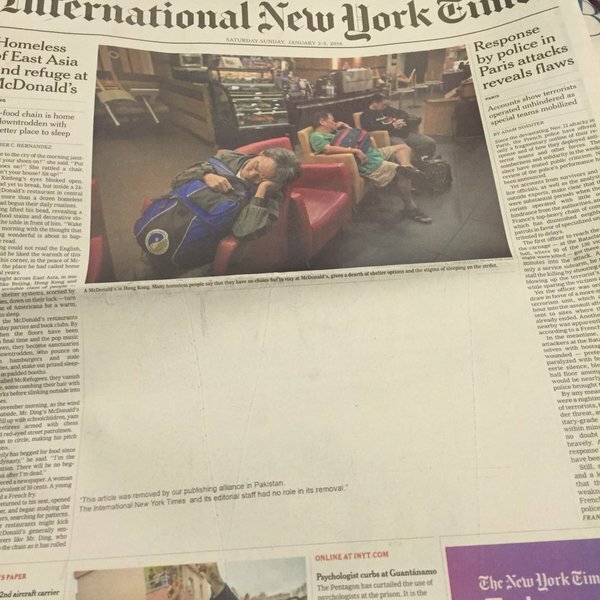 By not printing stories, they do not disappear. Rather, people become more interested in them and search them out. Raiding the homes of journalists seldom intimidates them into silence, at least not for long. And it actually gives the military the worst reputation than any media report when the harassment becomes the story itself! Hiding our mistakes, sweeping challenges under the carpet and throwing a blanket of secrecy over the challenges we face isn’t the best way to build national consensus and mould public opinion. If we want the public to support a particular policy measure we must take them into confidence. And finally, we should accept our own responsibility in fixing our own house but must not be driven by fear, panic or other such factors involved in a typical knee-jerk reaction. We are so obsessed with protecting our reputation that we have become blind to the reality that our attempts to manipulate reality is actually making matters worse. Let reporters report the news, and if they uncover something embarrassing, we should fix it instead of trying to hide it. Only then will the national pride truly swell, and our reputation in the world will finally stand in its proper place. This entry was posted in Blogs and tagged censorship, conspiracy theories, media by Mahmood Adeel. Bookmark the permalink.